As the premier leisure and watersports company in the world based in the Emerald Isle of Langkawi, Malaysia, we specialize in marine and nature adventures with class and style, utilizing the very latest in maritime technology and engineering with exemplary safety standards. Our company comprises of four subsidiaries : Naam Cruise, Paradise 101, Naam Sports and Naam World Travel & Tours. This makes us a one-stop company able to cater for all our Inbound and Outbound guests. 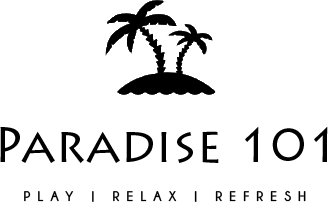 Naam’s Paradise 101 is the ultimate feel good Island, offering guests a place to Play, Relax and Refresh. 101 has something for everyone from a relaxing meal on the beach to a fun filled adventure on the high sea. A key tourist attraction in Langkawi that supersedes any other with a variety of activities and a beach bar offering a wide variety of food and beverages. PLAY: Take a thrilling Zip Line ride across the Andaman sea, swim out to our aqua park or have a go on our banana boats. There are also kayaks available for those guests who would just like to float and relax in the sea. If that’s not enough there’s plenty of fun and play to be had on Paradise 101 on our exhilarating Jets skis, powerboats and parasailing activities. All water activities are supervised by our trained safety marshals. RELAX: The pristine white beach offers our guests a chance for a break from the activities and take in some quiet time. Relax on the beach or swing away the hours in the shade on our many sunbeds or hammocks available across the Island. REFRESH: Breath in the fresh sea air, take in the view of the Sea and watch the world go by. Visit the Naam OMG bar & Restaurant, where you can quench your thirst with our mouth-watering selection of mocktails and cocktails. Our friendly bar staff run day classes where guests can also take a lesson in making their favorite drinks. Our sunset deck is the largest in Langkawi. You can relax, chat, meet friends or even make new friends from all over the world. Our house DJ’s and live band keep the party going day and night. Private beach cabanas and decks are also available with the option of a personal butler service for that VIP experience. Langkawi’s premier leisure and watersports company, Naam Sports specialises in jet-ski adventures and parasailing. We have the largest fleet of jet skis in Malaysia and also the most technologically advanced parasailing boats and parasails for unparalleled safety and fun. With safety being a number one priority, all jet-ski tours and parasailing adventures are marshalled by our trained team and follow strict safety procedures, ensuring near zero risk and maximum comfort. Naam Cruise redefines the luxury-cruise experience with the latest in boating technology, sumptuous decor and outfitting, and impeccable service. With our exquisite fleet of custom-built yachts, each cruise with Naam is a one-off experience tailored to fit your fantasies, whether you desire a tranquil sunset cruise, a romantic feast on a secluded beach, a high-speed tour of the islands by speedboat or jet ski, deep-sea fishing, a snorkelling expedition or parasailing at a remote island. But we’re at our best at helping you plan for truly special occasions. From complex corporate events to the ultimate honeymoon cruise, or if you’re planning a surprise marriage proposal, birthday party or anniversary—whatever you desire, we’ll make it happen. Naam World Travel & Tours is more than just VIP limo service for your holiday. Unlike many holiday destinations, Langkawi has a dizzying amount of activities to choose from. Where most people may find planning their itinerary a much more confusing perplexing chore than anticipated. Naam World Travel & Tours takes all the guesswork and frustration away from planning your holiday. Let us personalise an itinerary for you based on your tastes chosen preference and travel style, and leave all the hotel and transportation arrangements to us. Just tell us your preferences wishes and we’ll take you on an unforgettable journey in style. Naam team members and crew are professionally trained to handle premium water sports equipment and to prioritise the safety of our guests whilst delivering a world class experience to all. Naam follows international marine guidelines and is fully licensed and insured. Naam is also a member of the Water Sports Industry Association (WSIA) following high standards & International regulations. Naam’s parasailing team is professionally trained by world-renowned trainer Lee Abbott from Customs Chutes Inc. based in Florida, USA. Naam follows international safety standards and is fully insured and licensed. In order to improve the Marine safety standards in Langkawi, Naam also works in partnership with Tourism Malaysia and the Langkawi Development Authority. Our copyrighted tagline, “Nothing Compares”, is a testament to the high quality standards of operations that we have imposed upon ourselves. It comes as no surprise that we aim to ensure that while our guests have an unforgettable experience; their safety is of primary concern. Our team of passionate crews & Skippers are trained to the high Naam standards using the best specialists from around the world. Furthermore, the vessels are customized for Malaysian waters in relation to water density, wave amplitude and wave pitch to ensure optimum guest comfort and premium water experience. All our vessels meet international standards and in some instances even surpass international standards with full insurance cover. Naam is focused in its continuous efforts to protect our planet and marine life with eco-friendly water sports and tours. Our premium vessels have been designed to have minimal impact to marine ecology and protect the marine environment around Langkawi. Naam has its own Corporate Social Responsibility program in order to give back to the community and maintain the beauty of Langkawi and its waters.